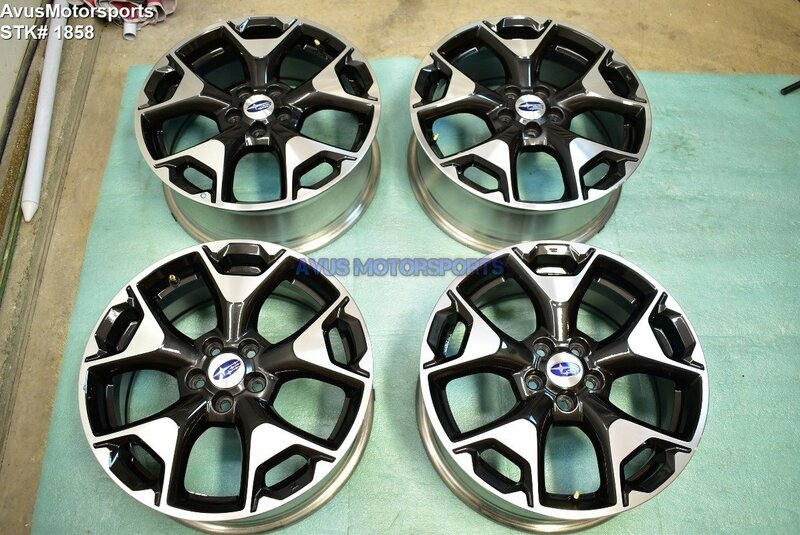 This auction is for set of (4) authentic 2018 Subaru XV Crosstrek 17" genuine factory wheels. These wheels were taken off an brand new 2018 XV Crosstrek with <50 miles, they are in very good condition, although do expect some minor scratches or blemishes. It was removed because the owner purchased larger custom wheels. Please review all pics! Please also consult with your local shops for fitment, prior to bidding, no refunds on fitment issues!